Curiosity was ultimately the reason Dayglo Fishermen came into being. Curiosity about a small recording studio in Hexham, Northumberland, to be exact. Artilite Studios was well-known in the town's young musical community, due mainly to the fact that from the time I set up the facility in 1987 my brother, David, would often mention it to his friends at high school. After that members of school bands would quite regularly turn up on my doorstep wanting to record a song, or even wanting me to join their band as they'd heard I had a keyboard (I did end up joining two bands for a short time, but that's another story!). It was in March 1990 that two of David's friends, Eamonn Maddick and Peter Carmichael, requested a tour of the studio during a break from university. I agreed, and suggested that the best way for them to get to know the studio was for us all to write and record a song. During the Easter holidays that year the four of us did just that. At the time the studio was based around an Atari ST running the Iconix sequencer, the legendary Korg M1 Synthesiser, and a Yamaha MT1X multi-track recorder. 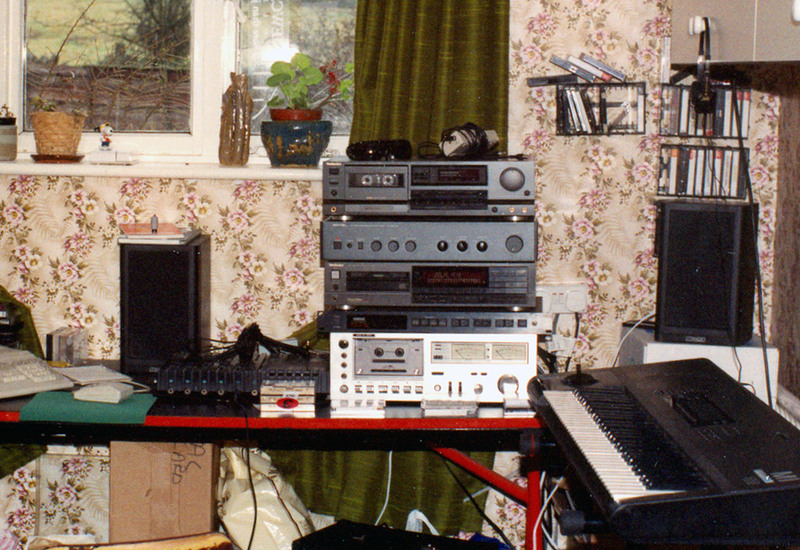 Other sound modules included the Yamaha TX81Z, Roland MKS-70, and the Casio RZ-1 drum machine and sampler. All of that equipment was utilised to varying degrees as we slowly, and without any planning at all, pieced together the unusual and now classic Dayglo Fishermen track, 'Fish'. I started with a demonstration of a simple drum pattern, using the M1's drum sounds rather than the RZ-1's. It was an on-the-beat bass drum with a ticking hi-hat on each sixteenth note. It was logical to do a bass line next, so I chose a squidgy analogue sound on the MKS-70 and asked for someone to have a go at playing something. After quantisation and the correction of a few notes a rather interesting riff emerged. Over the next couple of hours we added a few more sections and some breaks and drum fills. The drums and bass seemed too intense for vocals, so to demonstrate how to record voices I created a couple of quiet sections of music using an edited version of the M1's famous 'Universe' sound. Rather than write lyrics a poem called 'The Catch', by Charles Bokowski, was chosen. Peter Carmichael volunteered to read it. The poem and Peter's smooth delivery of it fitted very well with the music. We had to miss out the last few lines of the poem, but we finished on the poem's most dramatic line, 'And then it was dead', which worked very well. In the final mix I added some delay to the delivery of that line which emphasised the drama perfectly. The only sampling capability I had at the time was in the RZ-1. The drum machine could sample four 0.2 second samples to create new pecussion sounds. My guests were very interested in this feature so we used it to sample the words 'fish' and 'arp' which were then spread liberally throughout the song. Guitars were next. There was often a guitar lying around the studio, courtesy of Richard Burton who I recorded with regularly on solo projects (Richard would join Dayglo Fishermen several months later in December 1990). David said he would like to play the guitar part. Despite his complete lack of experience the deep and mournful guitar track he came up with was an astonishingly perfect fit for the song. After that we added a sample of a cheering concert audience to the intro. It created a rousing start to the song and finished things off nicely. 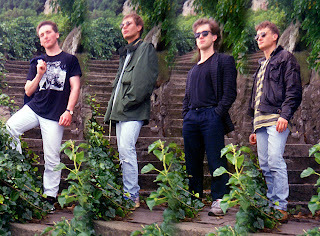 We were all so pleased with the song that a few months later, after everyone had returned from university for the summer break, we set about recording more songs under the name 'Dayglo Fishermen'. 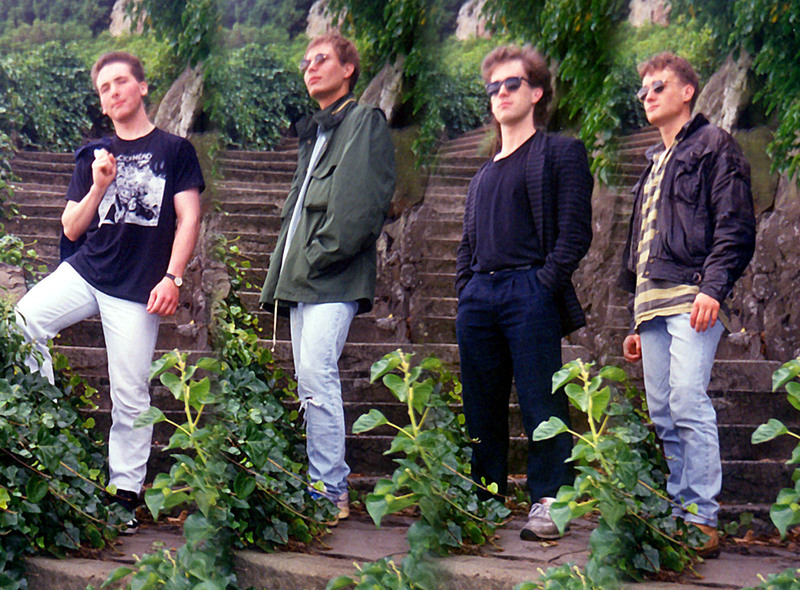 By August we had completed ten songs which we released as an album named 'Drenched'. 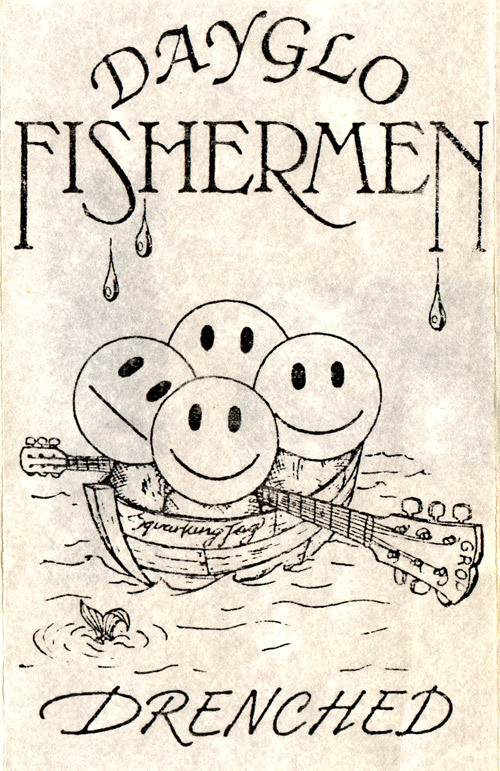 To hear 'Fish' and the other tracks on the band's first album, 'Drenched', visit www.dayglofishermen.com.